Ever wonder why it’s so important to drink plenty of fluids? We know that water helps eliminate toxins from our organs as well as supplying nutrients to our cells. Dehydration impacts every organ in our body and places unnecessary stress upon our ability to function optimally. It can cause cognitive impairment, fatigue, kidney failure and at its most extreme — death. So how much fluid should we consume each day? Requirements vary somewhat for men and women and are sensitive to climate and activity, but a good rule of thumb is “8 for 8.” Eight servings of at least 8 ounces is the recommended minimum. If it’s very hot and humid, we need to increase that amount considerably to compensate for perspiration. 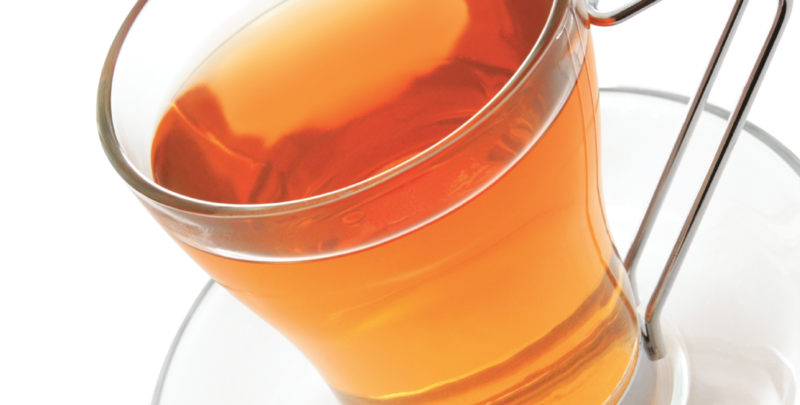 Many are confused about tea’s role in hydration. Research on caffeine contributes to the uncertainly. While caffeine has a known diuretic effect it is incorrect to conclude that beverages containing caffeine dehydrate. Caffeine’s diuretic effect occurs when caffeine levels exceed 500-800 milligrams, the amount found in 5-7 cups of coffee according to Mayo Clinic researchers. A cup of tea contains just 30-60 mg of caffeine so 10 to 20 cups of tea would be required to reach that threshold. We all know people who insist that they urinate more frequently after drinking a cup of tea. This is due to their sensitivity to caffeine. On further investigation, it appears that we quickly build up a tolerance for caffeine. When we drink tea daily, our bodies will adjust to the caffeine and eventually will not excrete it more quickly than water. Leave it to the Brits whose tea drinking habits are renowned to expose the truth about our beloved brew.